What is a floating floor? Do you need a floating floor? I get this question often from customers because someone has told them they need a floating floor. But, most customers don’t understand what a floating floor is. Do you? What is the definition of a floating floor? Technically, a floating floor means that it is “floating” on top of the floor underneath it, and it is not directly secured to the floor (i.e. no nails and no glue). Instead, the floating floor is held down or secured around the edges of the room – the base molding/shoe molding and transitions. A floating floor is often used if it is going over an existing floor or on top of concrete. Because the floor is floated and not secured to the sub-floor, there tends to be a bit more movement in the floor – you especially see and hear this in laminate floors and it’s more noticeable if the floor is uneven or if it was poorly installed. 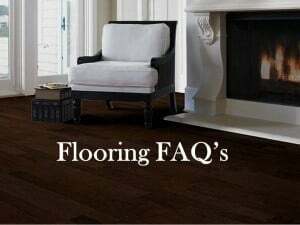 Given this definition, there are many types of floating floors as you’ll see below, so anytime someone tells me they want or think they need a floating floor, I need to dig a bit deeper to make sure I’m understanding their true wants and needs because there are many types of floating floors. (Plus, there are also times when a customer tells me they need a floating floor, and when I get to their home I discover that they don’t need a floating floor). What are the different types of floating floors? 1. 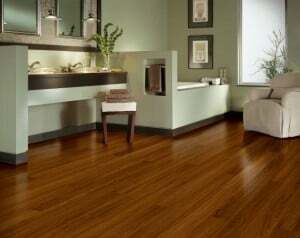 Laminate floors – Laminate floors are floating floors. Laminate is fake – it looks like hardwood, but it’s not – it’s a digital picture of hardwood and it clicks together. (There are also versions that look like tile) One of the advantage of laminate is that is less expensive than hardwood – both material-wise and labor-wise and it can often be placed on top of existing flooring without needing to rip it up, so this saves more money in labor. 2. Some engineered hardwoods are floating floors. Hardwoods can be installed 3 ways: 1) nail down (if there is plywood there), 2) glue down (engineered only) and 3) floated (engineered only). 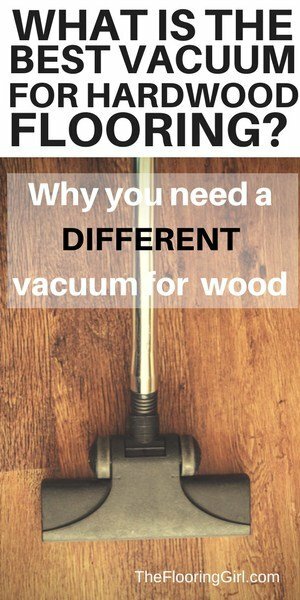 See my previous post on solid vs. engineered hardwood. 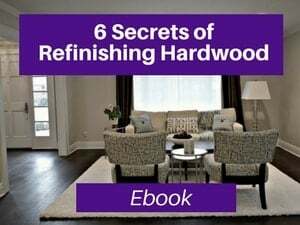 Some hardwoods are specially made to click into place just like a laminate does (they are easier for do-it-yourselfers and some can be installed over radiant heat). You click them into place and once they clicked, they are locked into place. The other option for non-clickable engineered hardwood is to glue the joints of the hardwood. 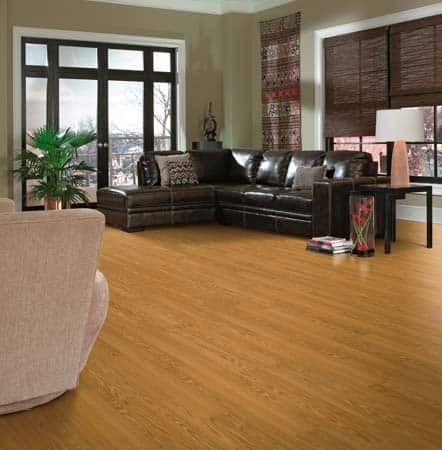 Either way, both options require underlayment underneath the hardwood just as you would use for a laminate. 3. Cork flooring is usually a floating floor. They come in interlocking pieces (usually 1 ft x 3ft) and click together just as a laminate does. (Note: there are some commercial cork flooring tiles that are glued down, and these are not floating floors). 4. Some vinyls are floating floors (but most aren’t). 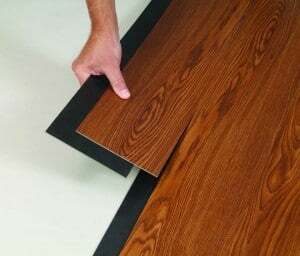 Usually vinyl is glued down, but some of the more recent fiber floors that have some fiberglass and extra cushion for your feet can either be glued or floated. 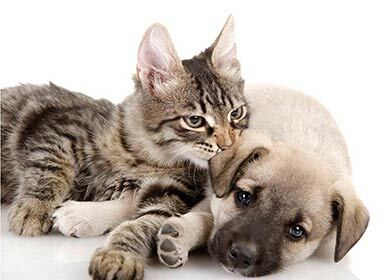 If they are floated, they just lie on top of the floor and are secured along the base molding or cove base along the walls and cabinets. There are now some floating luxury vinyl floors that look like wood planks that interlock w/ some adhesive that attached to the pieces (but not the sub-floor). They tend to be sold in the big box stores as they claim to be “do it yourself.” But, please watch out as most of these are low quality products and based on how most homeowners install, they usually pop up at the edges within 1-2 months. 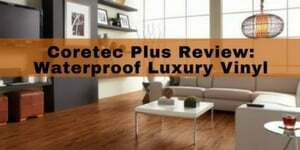 UPDATE: The newest addition to floating floors is an innovative product from US Floors called Coretec Plus. This is a vinyl floor that truly looks and feels like hardwood. It clicks together (like a laminate floor). But, unlike laminate, Coretec Plus is waterproof. This product also has a cork underlayment for a bit of cushion, sound absorption and insulation. It’s a super product. You can read my full review here. So, why would someone want a floating floor? 1. A customer wants to save money by not ripping up the floor. Instead, they just want to go on top of it. 2. They have asbestos tile on the floor and it would be dangerous/illegal to remove that (or very costly to have an abatement company come in and professionally abate it). 3. They have a floor where glue will not adhere to it well (e.g. epoxy floor or floor w/ lots of ridges and not a flat surface. While there are ways to smooth this out, it’s usually rather costly. 4. A customer is putting hardwood on top of radiant heat (and hence need to avoid adhesives and nails). 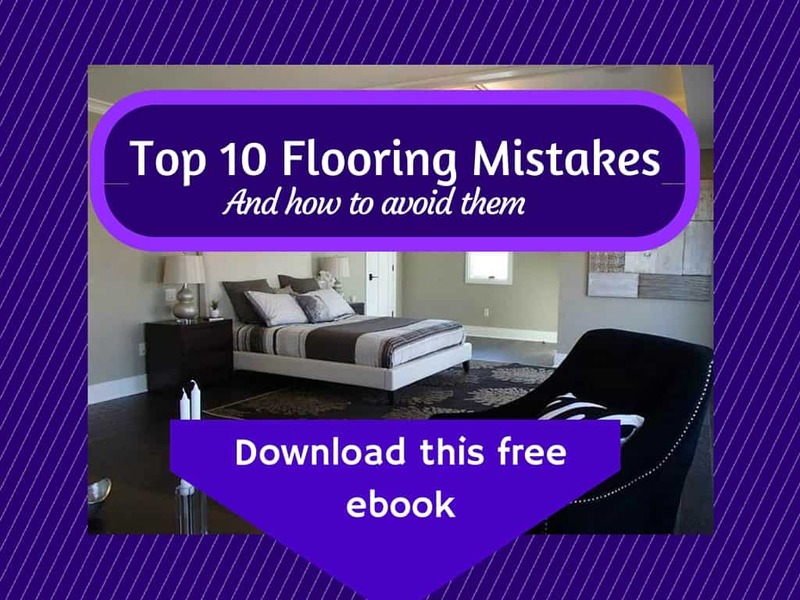 Here are some reasons why customers mistakenly THINK they need a floating floor. 1. They don’t have a plywood sub-floor or it’s going over a concrete subfloor. This is the most frequent area of confusion. While floating floors definitely will work over concrete, you do not need to do a floating floor. You can, but you also have the option of doing an engineered hardwood and gluing it down. So, be sure to understand your objectives and your budget before ruling options out. 2. There is a moisture issue. Well if there is a moisture issue, this should probably be addressed first. 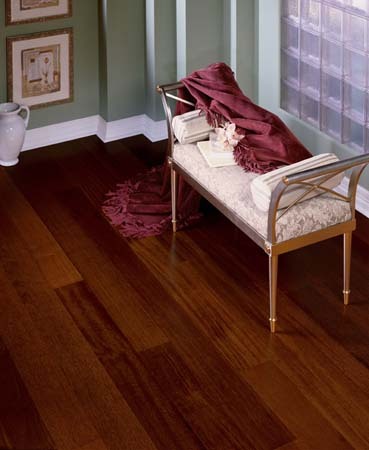 Or, if you are not going to make any changes, then pick the appropriate floor that will work with moisture. 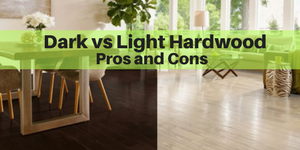 Hardwood, laminate and cork are no no’s if you have a moisture issue. 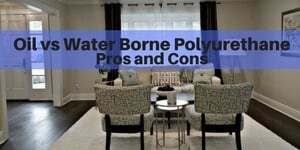 Many customers mistakenly believe that laminate is waterproof, and I have news for you…it’s not. It’s made w/ hardwood shavings, so if you are concerned about hardwood and moisture, same goes for laminate. 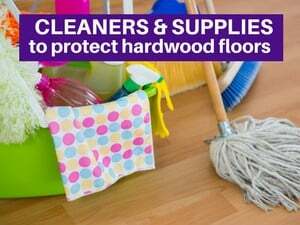 (Read more here: Is laminate flooring waterproof?) If there is a moisture issue, consider vinyl or tile. 3. It’s below grade/in a basement. 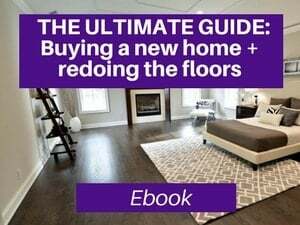 Floating floors can work in the basement, but other floors can also work so this is where it’s necessary to understand the objective of the room, moisture issues and budget. 4. They have a sloping or uneven floor. 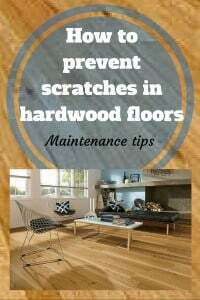 Hard surfaces don’t generally work well over uneven floors regardless of whether it’s hardwood, laminate, or tile. 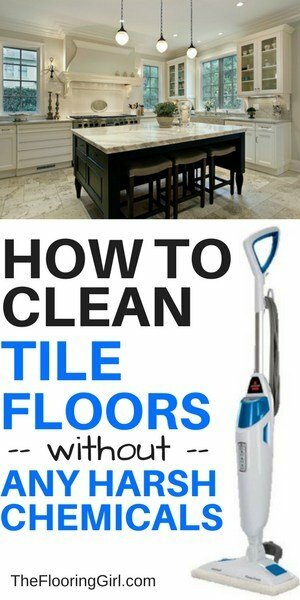 it’s best to level these out first, but the floor prep will cost you more money. If budget is a concern w/ the leveling, the consider a more flexible surface such as vinyl, carpet or rubber. I hope that this made some sense. I know there are a lot of issues to consider and I suppose this is why it’s best to consult a professional. Everyone’s situation and budget is different. Frequently, I will narrow down to the 2 or 3 choices that could work for my customers and price them all out and then let them decide what works best with their needs and budget. I’ll always add in my 2 cents (or sometimes even a nickel). What is a floating floor and when does it make sense? Lori – These are difficult questions to answer without someone looking at your place. Regarding warm enough, the cork will help and will certainly be better than other hard surface options available. But whether it will be warm enough depends on subfloor and heat sources. 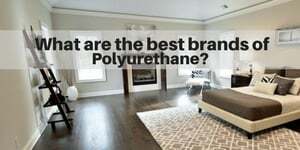 If you have concrete, you may want to consider adding a plywood subfloor. Or, add some extra area rugs, or address the heating source. It’s hard to say what will be warm enough. Regarding whether a floating floor is appropriate, that depends on how level and even your floor is. If it isn’t level, then you will have challenges as the floor would bounce. But, note that if it’s very uneven, you will have problems with all hard surfaces (i.e. the engineered vinyl, engineered hardwood, laminate and tile). So if you want to do something like this you may need to level the floor (e.g. pour more concrete or add plywood with sleepers). You could do the latter and address the level issue and warmth issue at the same time…if you have a level issue. Or, you could choose a more flexible surface such as glue down luxury vinyl, rubber flooring carpet or other vinyl. Note: if you don’t address the leveling/unevenness, it will still show (except for carpet and rubber where the cushioning camouflages it). 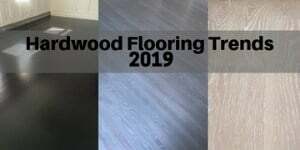 I would get a local flooring company to take a look. I hope this helps.